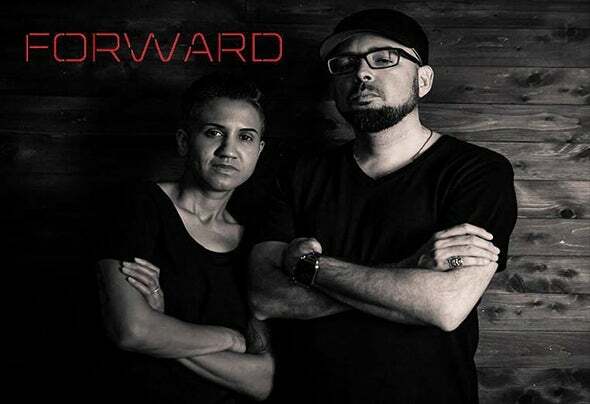 Forward is a live duo combining the forces of Trovarsi and Markman. Trovarsi is a vocalist, pianist and producer. She has been producing for 10 years and over the last few began performing live. Markman is a producer and engineer, as well as a DJ for over 15 years. As the paths of these two crossed, it became apparent rather quickly that their similar work ethic and love for technology in music would blend perfectly to create a new way to perform. The duo play all original dance music, completely live and often composed on the spot.